It is easy to take your car for granted; especially when it is running exactly the way it is supposed to. But things can go wrong without a moment’s notice. Most drivers ignore problems with their cars at some point or another. One of the things that many car owners are guilty of, is not fixing problems at the right time. This inexorably leads to other more serious problems, which could end up costing you a lot of money. Here is a look at some of the major car maintenance mistakes you can make. Roaming around with burned out headlights – When you compare it to most other car maintenance tasks, it is relatively cheap and easy to replace light bulbs. It can be easy to know if your high beams or headlights burn out as you will not be able to see. You should also be able to get a clue from the turn signal indicators on your dashboard if there is something wrong. Also, be sure to check running brake lights from time to time to be sure they are working alright. When your lights burn out, get them replaced immediately without any delay. Who wants to be pulled over for burned out headlights? Who wants to risk causing an accident because of burned out headlights? Plus, you could get into an accident because the other driver could not see you as just stated. These outcomes will cost you a lot of money. They could also cause you more than just money. 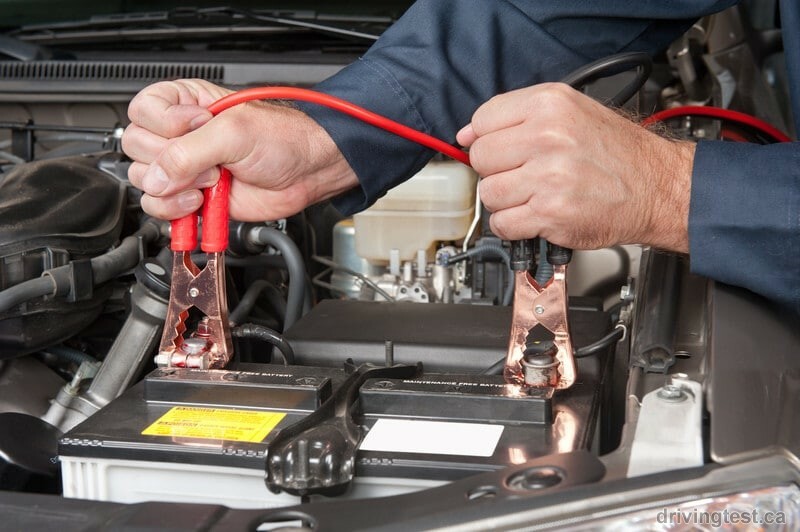 Trying to jump-start your car without proper knowledge – Just because you have jumper cables in the trunk of your car does not mean that you know how to jump-start a vehicle. It takes a lot more than jumper cables to get it right, especially if you are new to cars. In case you do not use jumper cables properly, you could cause serious damage to your car or seriously injure yourself. Although the procedure is a simple one, it behooves you to learn how to do it before the time comes when you need to actually jump-start your car. This is not something you want to do after quoting Bruce Willis in Die Hard “Yippee ki-yay, m—-!” That would be unwise and foolish. Assuming that bald tires will last a little longer – It is always tempting to squeeze a few more miles out of your tires but you should definitely not give in to it. Instant gratification is never a good thing when it comes to car maintenance. It is important to give your vehicle what it needs to ensure it maintains proper contact with the road. If you do not know how old your car tires are, it is probably the right time to get a new set. Even if the treads looks like it is okay, keep in mind that rubber gets worn over time. It might not be easy to see the damage, but even miniscule cracks can result in the loss of structural rigidity, meaning that the tire cannot perform as it is supposed to. If the rubber disintegrates in the area where the tread joins the tire, it can cause the tread to separate. Improper lube job when repairing brakes – Although brake jobs are not particularly difficult, many car owners prefer hiring a professional mechanic to handle this type of job. And it is understandable as making a mistake while taking care of brake jobs can have serious consequences. Your car brakes work because of friction. When you slam or press the brakes, the hydraulic pressure that is built up makes the brake pads and brake calipers squeeze in and it is this friction that causes your car’s wheels to slow down. Moving parts require lube or it will cause them to seize. It is imperative that you are careful while applying lube. If caliper lube or axle grease gets into contact with the friction surface of the rotors or brake pads, your car’s brakes will not work as they should and you could be in a real end collision or another type of collision. Forgetting to replace drained fluids – Fluids play more than a vital role in your car. Most of them are as important as gasoline. Your car always needs oil – if the moving parts in your engine go dry, it will cause them to seize up for good. The same holds true for the transmission fluid. The brake fluid in your car aids in maintaining proper pressure in the braking system. The fluids are actually more vital than fuel since if you do not have fuel your car will not start but if you do not have any of these fluids it can actually damage your car and/or cause an accident. Plus your car’s coolant, or antifreeze, keeps things from getting too hot or too cold. This is why you may want to make sure that you replace drained fluids at all times. Any negligence on this front can lead to a lot of avoidable hassles and expenses. This is without a doubt, one of the most crucial car maintenance tasks there is. Make sure that you do not commit these common car maintenance errors. It is the best way to make sure that your car stays in exceptional running condition for many more years to come. Avoiding these common, but glaring mistakes, can save you from spending a fortune on repairs or replacement or being involved in a wreck!